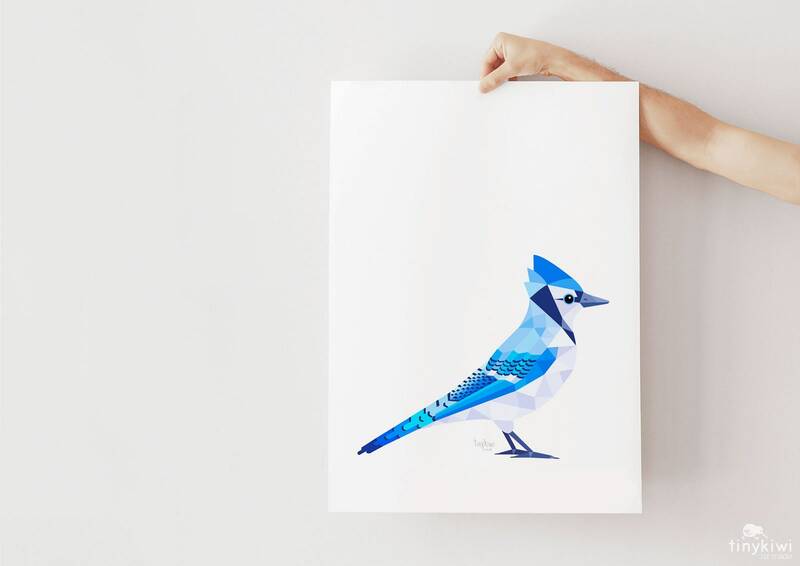 A geometric illustration of a blue jay. 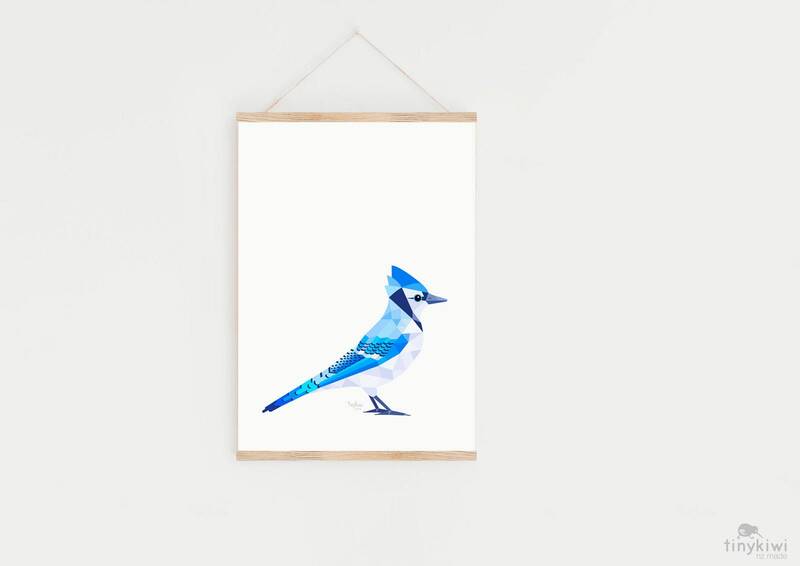 These birds are native to North American. 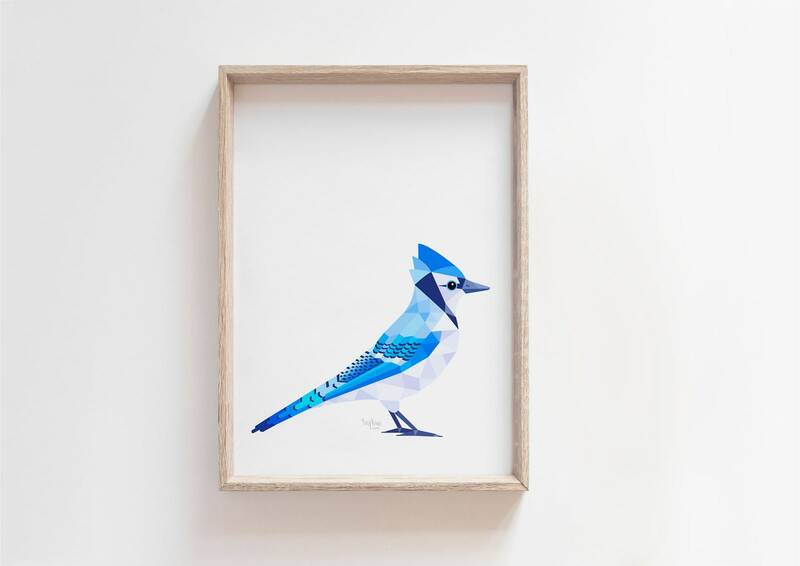 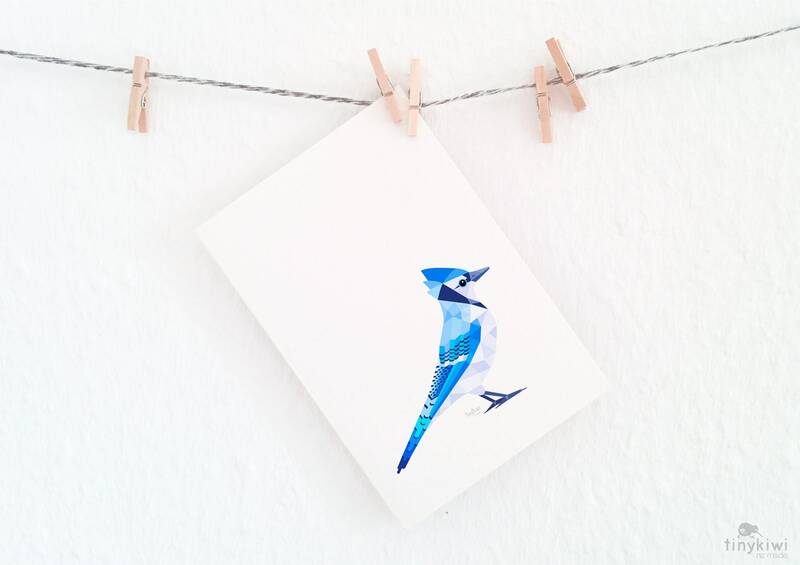 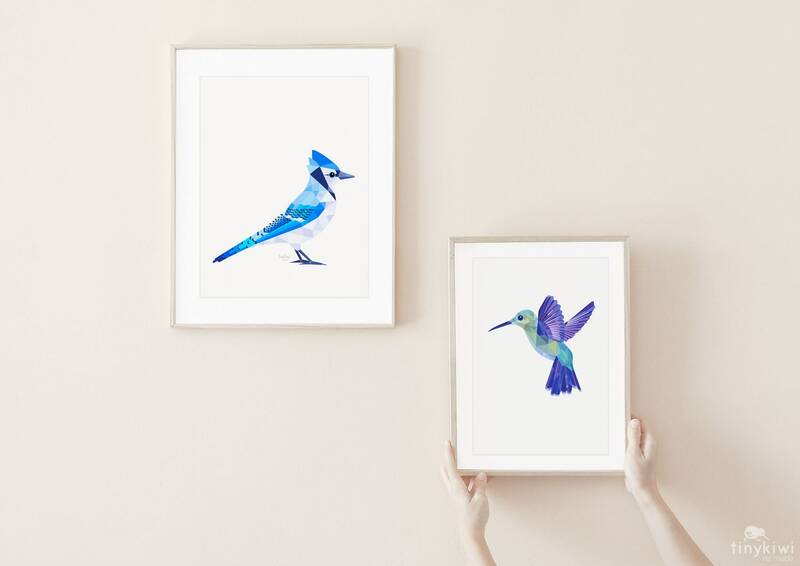 Loved the beautiful Blue Jay print!